Mega Man: Dr Wily's Revenge was, in retrospect, a fairly mediocre title. It's not something you can really hold against Capcom as it was still in the early period of experimenting what the Game Boy was and wasn't capable of. Capcom weren't even the only company with this problem as Nintendo demonstrated with the somewhat lackluster Super Mario Land. That being said, Nintendo learned from Super Mario Land and followed it with Super Mario Land 2: 6 Golden Coins, not one of the best Mario games by any standards but an enjoyable game nonetheless (also the first game to include Wario). 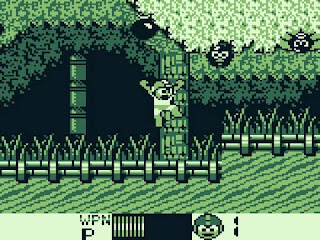 Capcom took absolutely nothing away from Megaman: Dr Wily's Revenge and created Mega Man II, one of the worst Mega Man games ever made. Normally when you start a game the first thing you notice are the game's graphics. In Mega Man II's case it's the absolutely abysmal music. The stage select theme is less of a piece of music and more of a random cacophony of notes that have no sense of composition to them at all. This applies to more than just the songs with sound effects so horrendously cheesy that it ends up complementing the awful music to a tee making music cues of enemies approaching clash with Mega Man's movement which ends up in the juxtaposition of notes rendering the average player only able to navigate the stages through sight alone (which is against the whole ethos of the Mega Man series). It's not like the graphics are anything to boast about either. The graphics in the original weren't exactly amazing but they did a decent job of translating the NES style over to the Game Boy. 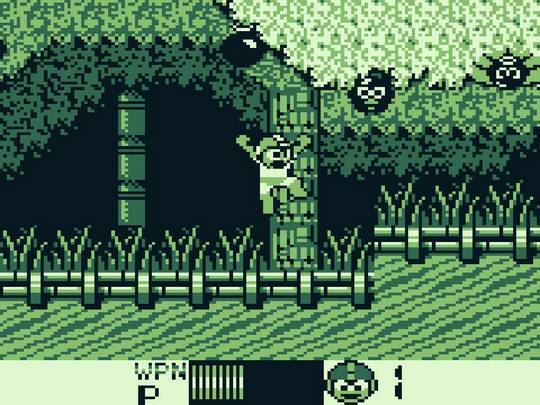 In Mega Man II the color palette feels overexposed giving the locations a weird, almost dream-like green tint that makes it hard to perceive power-ups from enemies and vice versa. 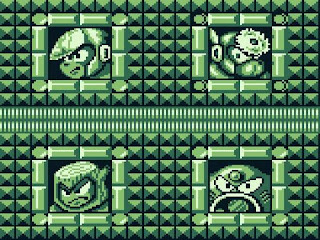 As a tradition of the series when you complete a stage there's some form of portrait of Mega Man and a description of the acquired weapon. Mega Man II continues this with a portrait of Mega Man that even the most insane of DeviantArt members would consider to be a bad drawing (Wily's Fortress is even worse). It's a small part of the game but it points to a larger problem of laziness from Capcom's part which peaks at Crash Man's stage where Capcom forgot to put any form of background in the stage at all. The above comments may seem superficial compared to the gameplay, there have been lots of games that were criticised in the past for lacking in either two departments but were still well received because of the core gameplay. 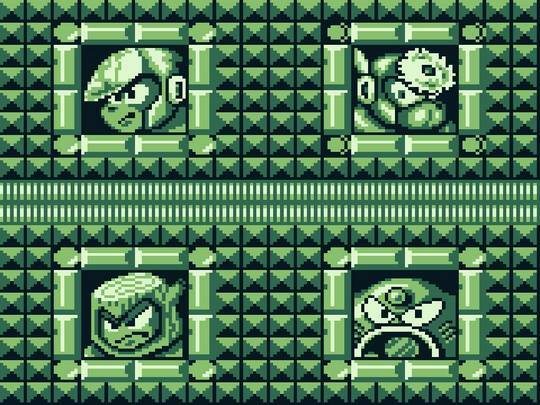 The gameplay of previous Mega Man games is mostly intact from the original games (although the sliding mechanic is even more awkward than in Mega Man 3 NES) but the touches such as the sound effect of firing your gun to the streamlined level designs from the originals to the awful presentation makes for a very unsatisfactory experience not just for a Mega Man game, but as a video game in general. Mega Man II isn't completely irredeemable; the Metal Blade is as crunchy as ever and Mega Man has frictious movement to him that made him so iconic but all of these don't come from original ideas that the game produces but by taking what the original games did so well and reusing it. The game feels like its sole audience was Capcom itself so they could learn from the mistakes that this game makes so Capcom could improve themselves. And we'll find out if that strategy worked in Mega Man III.